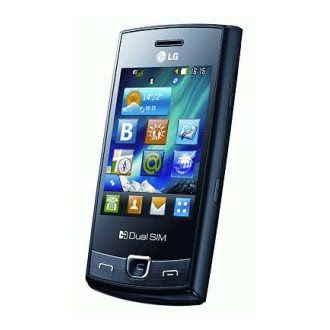 The dual SIM capability, integrated Opera Mini Browser 5.0, 2MP camera with 1600X1200 pixels resolution, pre-loaded instant messaging, e-mailing and social networking features and access to sites like the Classmates and Facebook makesLG P520 aka Terry a tempting mobile phone. We expect it to be affordably priced in India though pricing details are still under wraps for LG Terry. It is going to be launched soon in India and will attract users for its beautiful design (it is candy bar handset with resistive touchscreen) and superb performance. Its browsing and social networking capabilities are also its major highlight which will allure many young buyers looking for an economically priced handset. 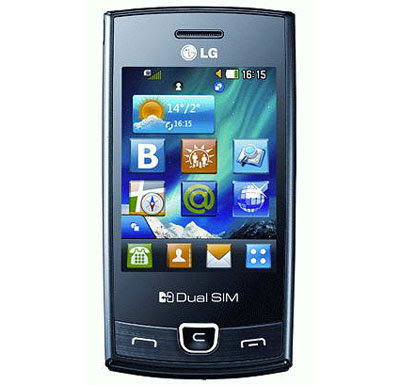 Other goodies in this new dual SIM phone from LG are its 2.8” wide TFT touchscreen display with 240 x 400 pixels resolution, 15MB internal flash memory expandable to 4GB via its microSD card slot, FM Radio, 3.5mm audio jack and Bluetooth 2.1. For browsing, there is GPRS/WAP and Opera Mini 5.0 and one may use SMS/MMS for being in touch with dear ones via LG Terry. It is supported on tri band 900/1800/1900 MHz GSM network. Physically measuring 108.9 x 55.9 x 12.9 mm and weighing 120gm, LG P520 is fairly thick and compact device. It is already launched in Russia and in that nation it sports English-Russian dictionary feature.